In 2012, as news of Tiger Woods’ extramarital affairs and his wife’s reaction repeated on TV broadcasts and magazines throughout the world, some professionals stood up and said it does not need to be this way. You can maintain your privacy and dignity in your family law matter. You can utilize the collaborative divorce process. Keep in mind, collaborative divorce is not just for celebrities. More and more, families throughout Tampa Bay are choosing the collaborative process to resolve their differences peacefully so they can move on with their lives without screwing up their kids. A local collaborative divorce specialist will help develop a model of collaborative practice that fits your family’s needs. As Dr. Izzo mentions, “Studies show that when children see their parents getting along through a divorce, they fare just as well, developmentally, as children whose parents remain married.” Further, Florida’s newly enacted Collaborative Law Process Act will ensure that all discussions had to reach an agreement will remain private. 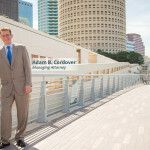 Family Diplomacy Managing Attorney Adam B. Cordover is a leader in the field of collaborative practice. He trains attorney, mental health professionals, financial professionals, and mediators how to offer collaborative services. He is also co-author of an upcoming American Bar Association book on collaborative practice. What is Collaborative Divorce About? Top 20 Blog Posts of 2017 Does My Child Have A Say In Custody?